With Danfoss high-pressure APP pumps tailored to Sea Water Reverse Osmosis (SWRO) applications you will get one of the most reliable and sustainable solutions for desalination. The APP pumps can be used in almost any SWRO application - land-based, offshore or marine. Mounted in containers or trains, the APP solutions can contain several pumps in parallel to secure uninterrupted and sufficient supply at any time. Their compact footprint and simplified design require no frames or belt drives and can be installed either vertically or horizontally – also when the space is limited. The simple construction of the pump with only few parts allows highly reliable operation with long service intervals and easy maintenance. The APP pump is oil-free, using only water for lubrication. The lead time is short, only 2-4 months even for large projects. Danfoss has pioneered axial piston pump technology in challenging hydraulic applications for several years. 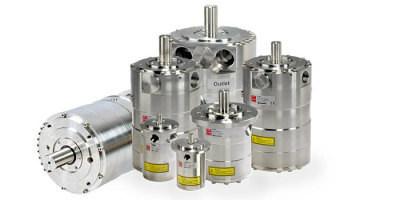 With more than 15 patents, a strong precision engineering heritage and world-class production know-how in Duplex, Super Duplex and carbon-reinforced PEEK, Danfoss designs and produces the most advanced axial piston pumps available for reverse osmosis. The pumps can be delivered with ATEX and API 674 approvals. 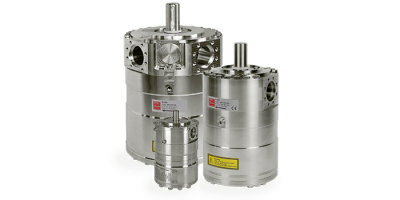 ​The APP S 674 pumps are designed for SWRO offshore applications, offering the highest efficiency rates in the industry. The compact design - half the size of competing pumps - makes it a first choice when space is limited. The APP S 674 comes with API 674 and ATEX certification.